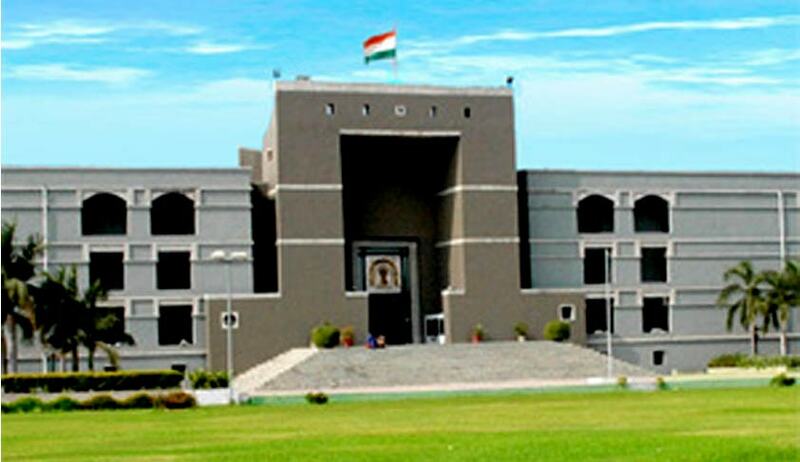 Gujarat High Court had recently considered the following question in a Petition filed by an Architect to quash Criminal Proceedings against him U/S 482 of Code of Criminal Procedure. If any building collapses, after 19 years of its construction and that too after withstanding worst earthquake of 2001, can it be said that it was constructed with substandard material and whether it can be presumed that it was constructed before 19 years with intention/knowledge to cause death? A building in the name of "Kanaiya Palace", situated at Ghoddod Road, Surat was constructed in the year 1998, to be precise, the construction had commenced in the year 1994 and the same was completed in the year 1998. The applicant had rendered his services as an Architect for the purpose of construction of the said building in the year 1998 when the construction was completed, it was an eight storeyed building. On 29th April, 2014, a portion of the slab of flat No.604 collapsed, as a result of which the slabs of the drawing rooms of the other five flats also collapsed. Three persons died on being crushed under the debris and four persons sustained injuries. Police registered FIR against the Applicant for the offence punishable under Section 304 Part ­II, read with Section 114 of the IPC. Justice J.B.Pardiwala who authored the Judgment held that though the term 'negligence' has not been defined in the Code, it may be stated that negligence is the omission to do something which a reasonable man, guided upon those considerations which ordinarily regulate the conduct of human affairs would do, or doing something which a reasonable and prudent man would not do. “In order to hold the existence of criminal rashness or criminal negligence it shall have to be found out that the rashness was of such a degree as to amount to taking a hazard knowing that the hazard was of such a degree that injury was most likely imminent. The element of criminality is introduced by the accused having run the risk of doing such an act with recklessness and indifference to the consequences. Lord Atkin in his speech in Andrews v. Director of Public Prosecutions stated: (All ER p. 556 C) "Simple lack of care such as will constitute civil liability is not enough. For purposes of the criminal law there are degrees of negligence, and a very high degree of negligence is required to be proved before the felony is established." There is a marked difference as to the effect of evidence viz. the proof, in civil and criminal proceedings. In civil proceedings, a mere preponderance of probability is sufficient, and the -- defendant is not necessarily entitled to the benefit of every reasonable doubt; but in criminal proceedings, the persuasion of guilt must amount to such a moral certainty as convinces the mind of the Court, as a reasonable man, beyond all reasonable doubt. Where negligence is an essential ingredient of the offence, the negligence to be established by the prosecution must be culpable or gross and not the negligence merely based upon an error of judgment." “The only state of mind which is deserving of punishment is that which demonstrates an intention to cause harm to others, or where there is a deliberate willingness to subject others to the risk of harm. Negligent conduct does not entail an intention to cause harm, but only involves a deliberate act subjecting another to the risk of harm where the actor is aware of the existence of the risk and, nonetheless, proceeds in the face of the risk. This, however, is the classic definition of recklessness, which is conceptually different from negligence and which is widely accepted as being a basis for criminal liability." For a period of 19 years, nothing happened to the building. If it is the case of the prosecution that inferior quality of material was used for the purpose of construction, probably it would have collapsed in the year 2001 itself when the State of Gujarat witnessed one of the worst natural calamities in the form of an earthquake”.